We are a Landscape Institute Registered Practice and multi RHS Gold Medal Winning Garden Designers. Being Landscape Architects we spend our days, come rain or shine, fully immersed in both rural and urban outdoor spaces. For us, it’s all about making the most of the outdoor environment that surrounds us; blurring the boundaries between inside and out whilst creating beautifully wild, fun and quirky outdoor spaces. From entertaining friends and family in the summer to cosying up in a wood-fired hot tub on a cold winter’s evening, we know how to design the perfect outdoor living space – from private gardens to commercial landscapes. “I am completely obsessed with the outdoors! I’m happiest when I’m out in the fresh air…whatever the weather. That might be visiting site to see how one of our projects is coming to life, walking the dog on the beach or enjoying an evening with friends spent around the fire pit with dinner cooking on the Big Green Egg. “Vic is the creative one, and I make it all happen! In other words, I’m all about the design detail. I love seeing project plans come to life on site and your reaction at the end result when you’re enjoying the great space we’ve created. When you first get in touch, chances are Nicola will be at the other end of the email. She will be there to help you get started on your exciting garden design journey with us! She keeps the studio running ship-shape as our practice manager so we can get on with designing incredible spaces for you. 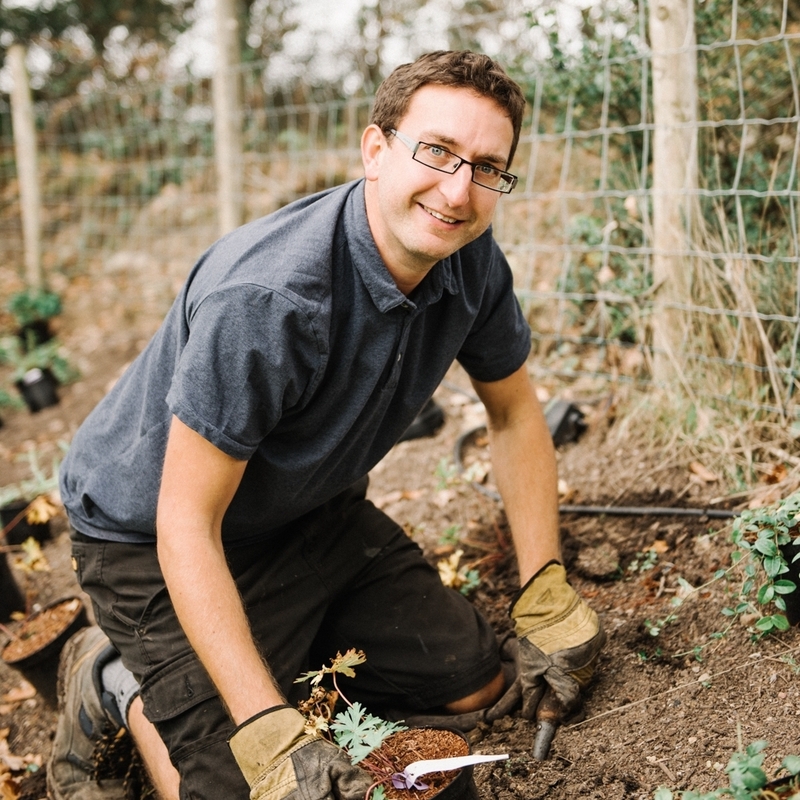 You’ll meet Chris on site when we’re ready to start the planting phase and install the all-important finishing touches to your outdoor space. Whether it’s trailing climbers along walls, staking trees, assembling garden furniture, installing BBQ’s or hanging the occasional string of fairy lights - Chris is our go-to Garden Handy Man! We create gorgeous gardens and it takes incredible team effort. We work with skilled landscapers, builders, specialist contractors and suppliers. They bring quality of craftsmanship and attention to detail to all the gardens we design. They love building our gardens. In fact, they embrace the challenge of doing something a bit different. Plus, they don’t flinch when Vic suggests weird and wonderful ideas! Those relationships are the key to a successful project.